Cllaps places users (doctor, patients, nurses, …) in the center of medical technologies to find new innovative products or services for the good care of patients and efficiency of care processs. 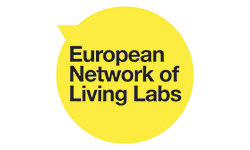 The Living Lab Cllaps was created in 2015 by Brain and Spine Institute and the hospital APHP and is embedded in the center of neurologic diseases center at the Pitié Salpêtrière hospital. Its main purpose is to imagine innovations (technologies, products, services) which permit to answer neurologic and psychiatric care problems. For all information, please contact Alexis STEINER (email).